The presented geotechnical random field (GRF) algorithm is utilized to realize the soil inherent variability based on in situ site investigation results. 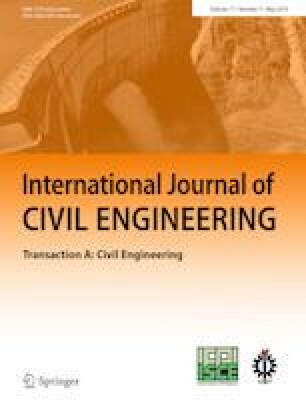 This paper aims at investigating the effect of cone penetration test (CPT) borehole arrangements in horizontal plane on slope stability reliability analysis considering stochastic fields of soil design parameters via the conventional stationary along with the non-stationary random field adopted in the GRF approach. An advantage of the GRF algorithm is that it yields conservative results in comparison to the conventional stationary random field theory; therefore, using non-stationary random field underestimates slope stability reliability. The current study tried to highlight the importance of the availability of in situ profiles of soil strength parameters when stability analysis of geotechnical structures is concerned. Slope stability was chosen to interpret the role of the CPT profiles in the adjacent site in determining the factor of safety of the slope against shear failure. Furthermore, the results of the case under study showed that when the geometric dimensions of the slope are too small compared to the horizontal correlation length, more CPT borehole data availability leads only to very slightly conservative results in comparison to the case with single available CPT profile.